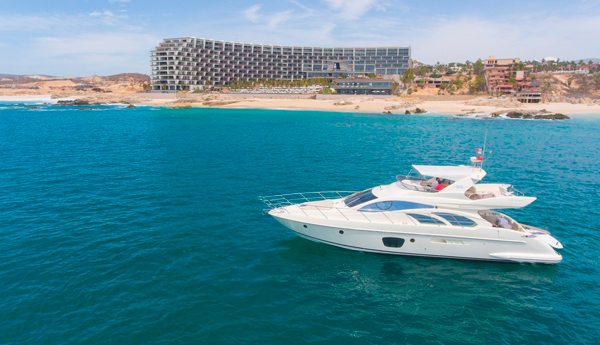 Experience the splendor and grandeur of Los Cabos aboard Bella, our ultra-luxe private yacht. Set sail on an adventure you'll never forget. Rates starting at $1,030 USD per person, per night. Rates subject to change without notice, listed in USD per person per night. Minimum five-night stay required. Maximum suite occupancy depends on suite selected. Package subject to availability and change without notice. "Bella Yacht Cruise" on the Sea of Cortez is subject to weather conditions. Available from 9:00 a.m. to 6:00 p.m. Please reserve your experience and round-trip transportation through our pre-arrival concierge at econciergelc@velasresorts.com. Package components are nonrefundable and cannot be substituted; not combinable with other promotions or consortia amenities. Blackout dates apply. Exclusively for individual reservations. Not applicable to groups.